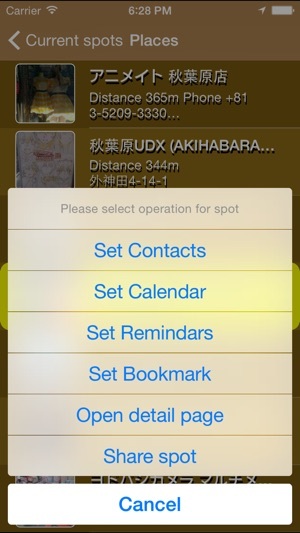 For example, do you think that you can utilize it in a scene of the life that location information is various when you can register a famous place and an address, the phone number of nearby building and facilities with iOS application such as "Contacts" and "Calendar" or "Reminders" easily in a ToDo making scene such as a record, the shopping of the destination and business trip? 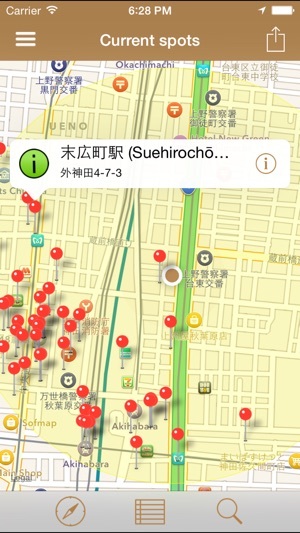 You can search spot information such as a shop or facilities in nearby approximately 500m of the place that there is on the spot now, and this application is the application that can register a name, an address, a phone number, the URL of the spot, the data such as the location in the map with iOS application such as "Contacts", "Calendar", "Reminders" immediately. 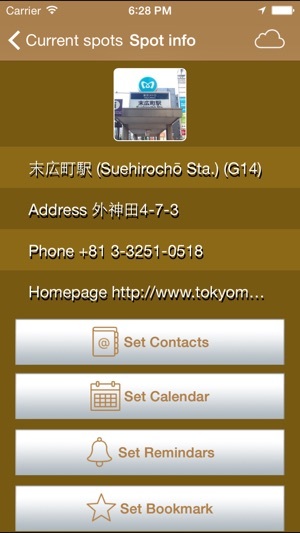 - You can find up to 50 spot information on the fly nearby by Foursquare service. 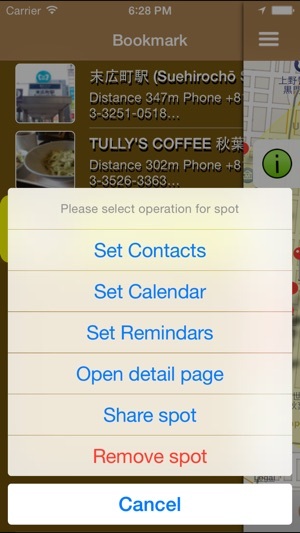 - You can register a card to "Contacts", summarizes the name of the spot location, address, phone number, picture, URL. - You can register for events on the "Calendar", summarizes the name of the spot, address, phone number, and URL. - Based on the information of the nearby, you can register a "reminder" to notify in the specified location. - You can register to bookmark search spot, you can take advantage of at any time..
- You can share the selected spot information. - You can use 3D Touch Quick Action (iOS9 and above, 3D Touch support models only). Corresponds to specification change of Foursquare API.